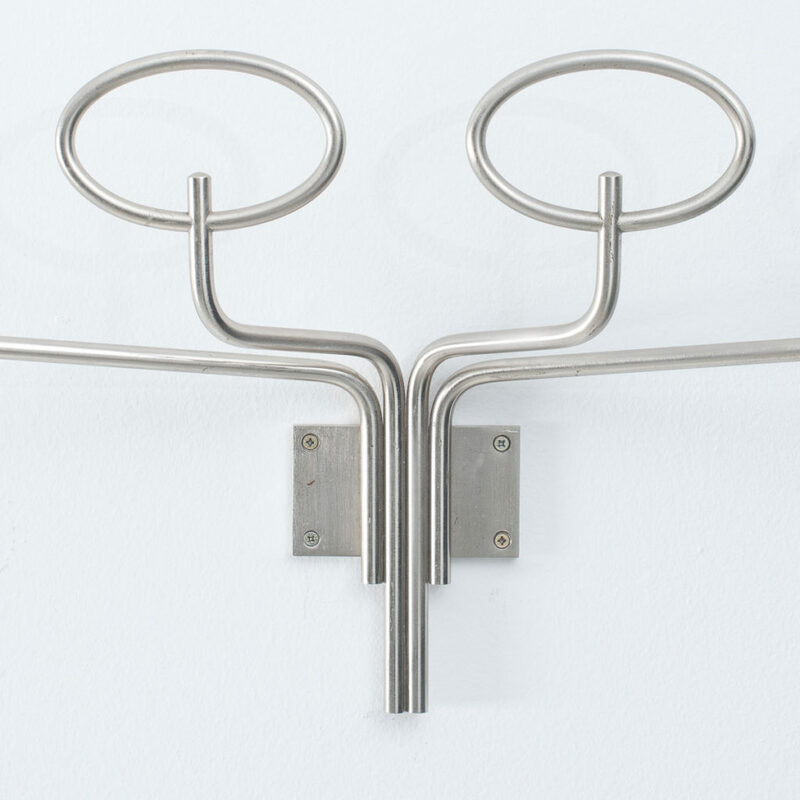 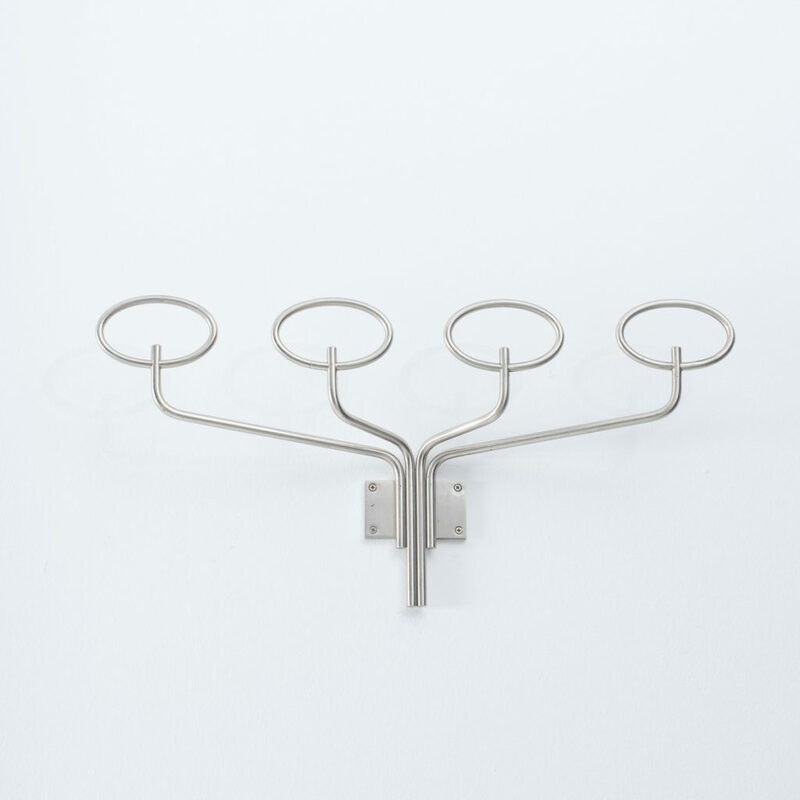 Wall mounted coat rack designed by architect Sergio Mazza for Italian manufacturers Artemide. 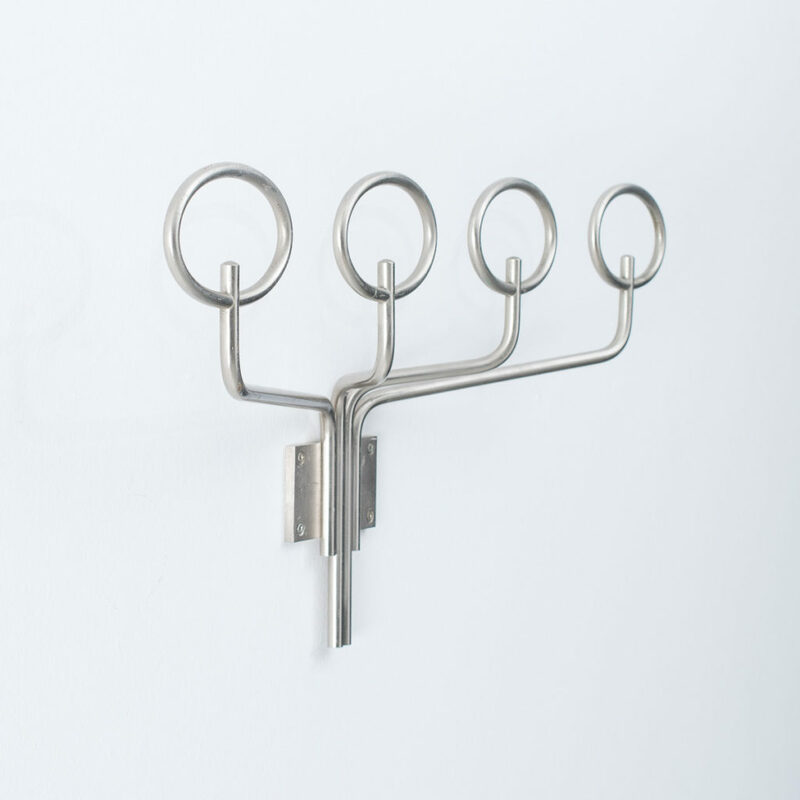 Made from a process he loved to use, matt finish nickel plated brass. 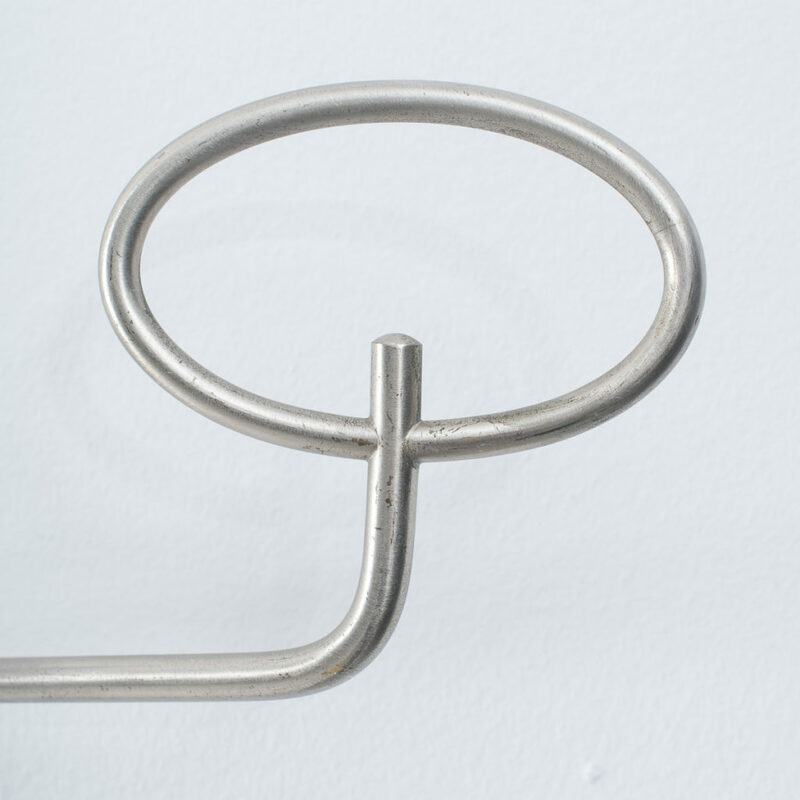 This unusual warm tone has a very slight sheen to it. 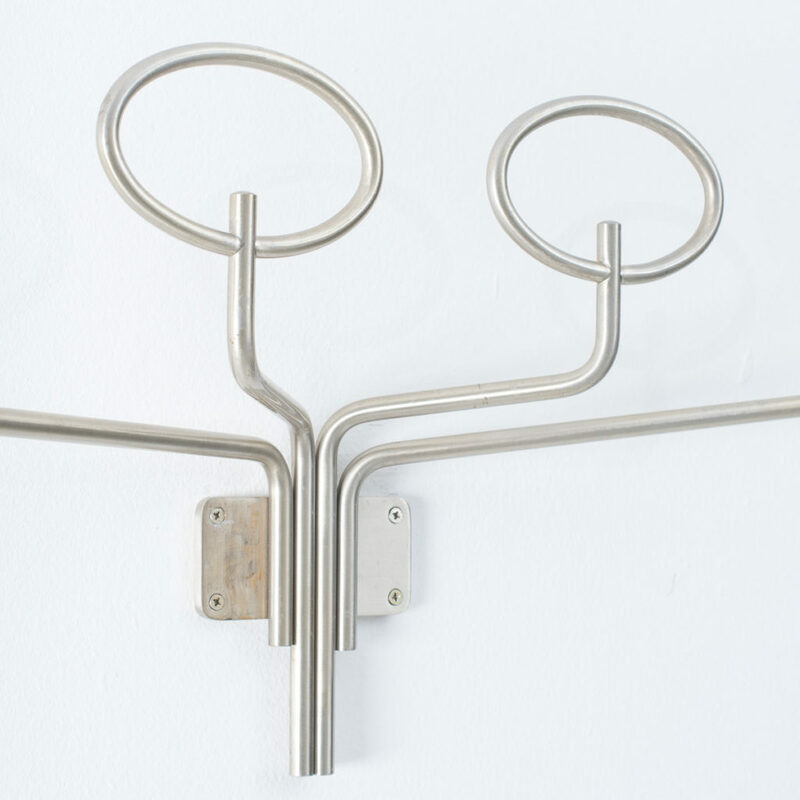 This elegant coat rack has some lovely curves to it and is made extremely well. Good condition, right hand arm maybe a cm out from the others.